This Place of Worship was founded in 1890, though it is now closed, but we don't yet know when, and the premises are now in secular use. This place of worship is described in Kelly's Directory of 1923 as erected in 1890 as a Mission Church (of Leigh, St Catherine's church), and "of wood and granolith, and will seat 90 persons; services are held alternate Sundays at 6.30 pm". It is marked as St Stephen's Mission Church on Old Maps, for instance OS 1902 1:1,2500. 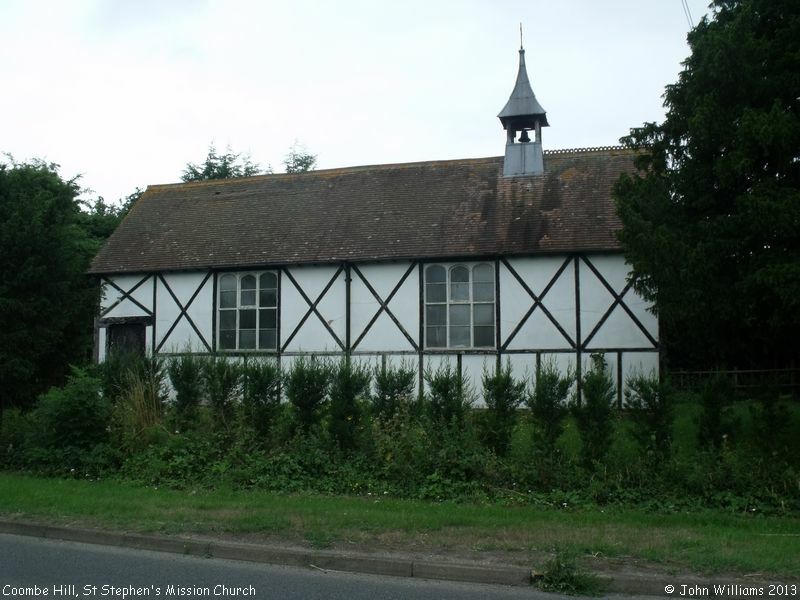 St Stephen's Mission Church, Coombe Hill, Leigh shown on a Google Map. Places of Worship in Leigh shown on a Google Map. Information last updated on 15 Aug 2013 at 07:31. Please also remember that the former St Stephen's Mission Church is understood to be in secular use, so care should be taken to preserve the privacy of its occupants. This Report was created 10 Apr 2019 - 06:33:18 BST from information held in the Gloucestershire section of the Places of Worship Database. This was last updated on 7 Feb 2019 at 07:45.